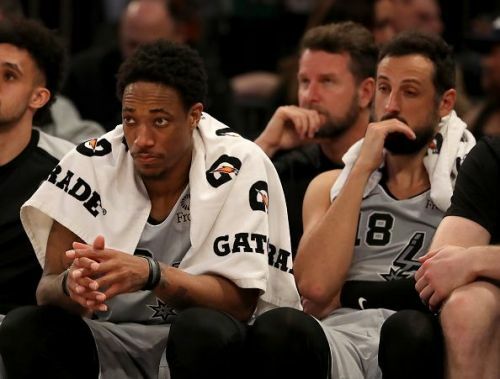 Entering the 2018/19 season, many expected the San Antonio Spurs to fall short in the race for the playoffs. After all, both Kawhi Leonard and Tony Parker had left the team, while the Western Conference was brimming with talented teams, including LeBron James and the Lakers. Nevertheless, against expectations, Gregg Popovich has guided the Spurs to a 42-29 record, and the Spurs are currently in the hunt to secure home court advantage for the postseason. However, despite another successful season, San Antonio's roster remains in need of a refresh, and here are three of the players that the team should consider moving on. 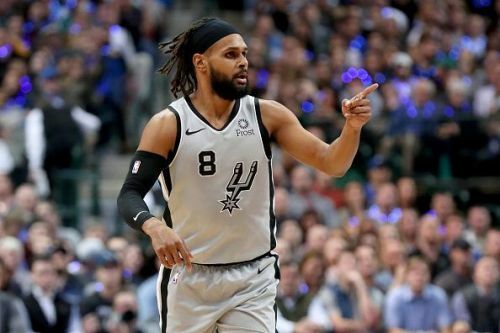 After a short stint playing in China with the Flying Tigers back in 2012, Patty Mills returned to the NBA with the Spurs, and the Australian has remained with the team ever since, mostly contributing from the bench as Gregg Popovich's backup point guard. Nevertheless, despite his bench role, Mills is currently one of the team's highest earners, and the guard is set to earn $25 million over the next two seasons. Mills is this season averaging 10.0 points and 3.0 assists in 23.6 minutes per game, which are respectable numbers, although it is fair to say that the 30-year-old's performances do not warrant his status as one of the organizations highest earners. The Spurs also have plenty of depth at point guard, with the promising trio of Derrick White, Bryn Forbes, and Dejounte Murray all impressing when given the opportunity. Evidently, the Spurs have enough cover to move Mills on, and there is no doubting that that his salary could be better used in improving other areas of the roster such as at center.